In this blog series, we want you to meet some of the amazing Team Metabolic 2019 and find out how they’re preparing for the big day! Next in this series of blog posts, we’d like to introduce you to Chris! 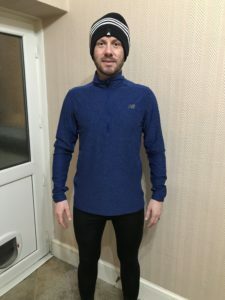 Hi Chris, thank you for taking the time to tell us a bit about your 2019 London Marathon experience so far! How’s your training for the marathon going? Do you have a training plan? Training is going well. I’m currently getting out about five times a week and running around 50 miles. I’m also going to look to start breaking training up with hill and mountain running and interval fartlek. I haven’t run a full marathon before but have run a few half marathon trail runs, which has served as a good starting base for my training for the London Marathon. Why did you want to run the London Marathon? I am running the London Marathon to raise money for my friend’s brave little girl, Emilia, who has a really rare condition called Alexander’s Disease. I am fundraising to raise awareness and help fund research into this terrible disease. Why did you want to run the London Marathon for Metabolic Support UK? Adrian, Emilia’s dad, helped me get the place and I am extremely grateful to Metabolic Support UK for giving me a place. Do you have a favourite running route? I try and mix up my running routines between road and mountain running. I try to change up my routes on a regular basis to add variety and challenge my body further. Do you have a running playlist? I don’t have a running playlist. I just like to switch off; get in the zone; and plough through the miles. What’s your favourite post-run meal or snack? I don’t normally eat for a while post-run. However, I love Chinese food and I am quite partial to a few bottles of Budweiser, haha! We hope your training continues to go well Chris! Kate and Laura’s Valentine’s Fun Run!